1. 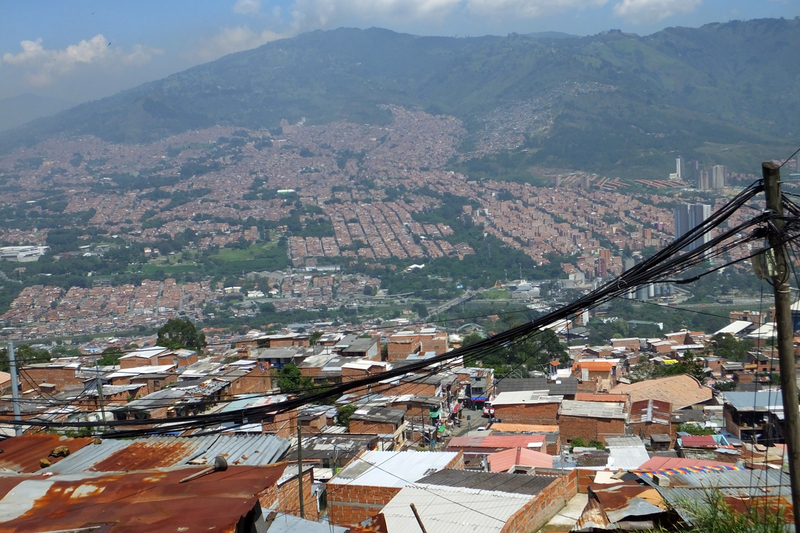 Of all my travels around the globe, I’ve never seen a landscape like Medellin. A city in a valley, it’s surrounded by a small mountain range that means the densely populated city essentially sits in a bowl. 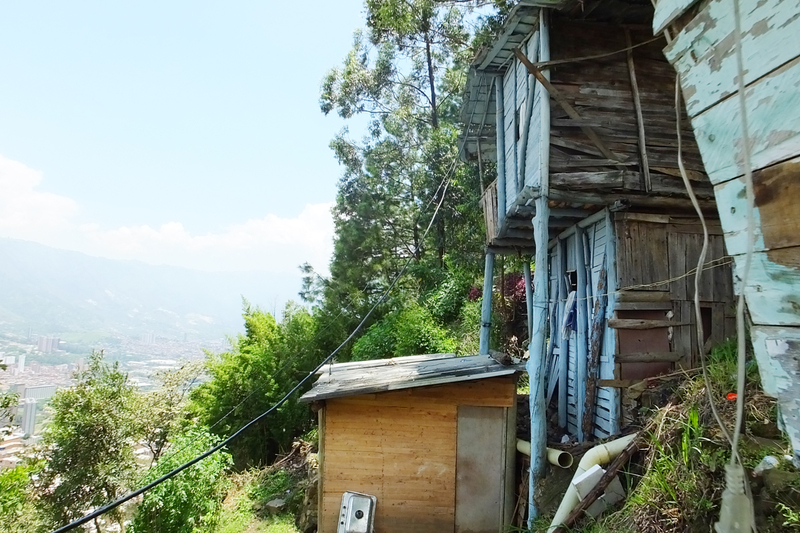 Thousands of homes are built far up on the mountainside, which is where many of the poorest people live. 2. 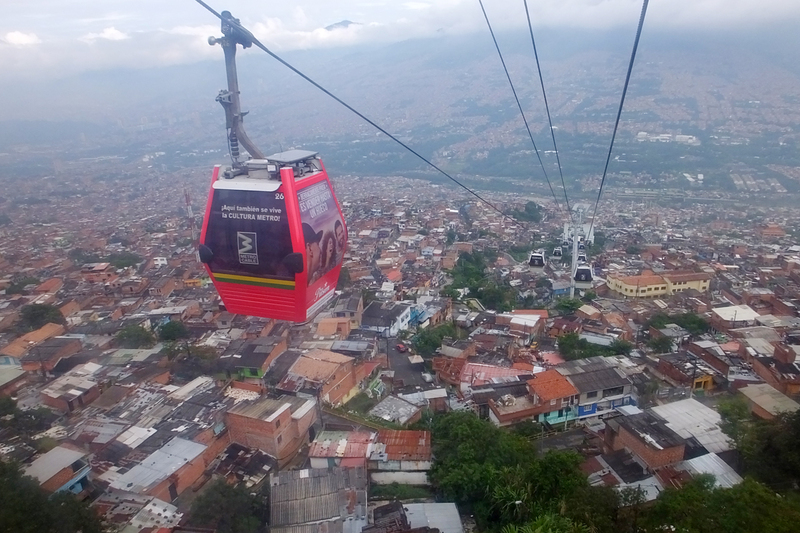 Because of the vast numbers of people living on the mountain, the government has built a sky tram, or “MetroCable,” as part of the public transportation system. 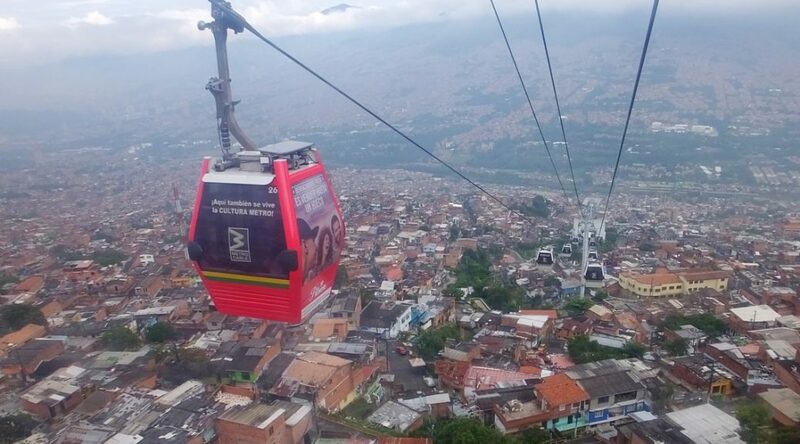 In most cities, something like this is a tourist attraction, but in Medellin it’s a basic form of public transportation, and makes life easier for a lot of people who would otherwise have to walk. 3. Some of the homes up the side of the mountain were among the most precarious structures I’ve ever seen. Standing in a few homes of families served by Unbound, I actually felt nervous for my own safety — and yet, families sleep and eat there. Many of the parents we met expressed their desire to better their homes for the safety of their families — a goal that Unbound sponsorship is helping them achieve little by little. 5. Another important figure in my time in Colombia was my colleague, Henry Flores. Henry is the director of communications liaisons for all of Unbound’s global communications, and I’ve had the pleasure of working with him remotely for the past year. 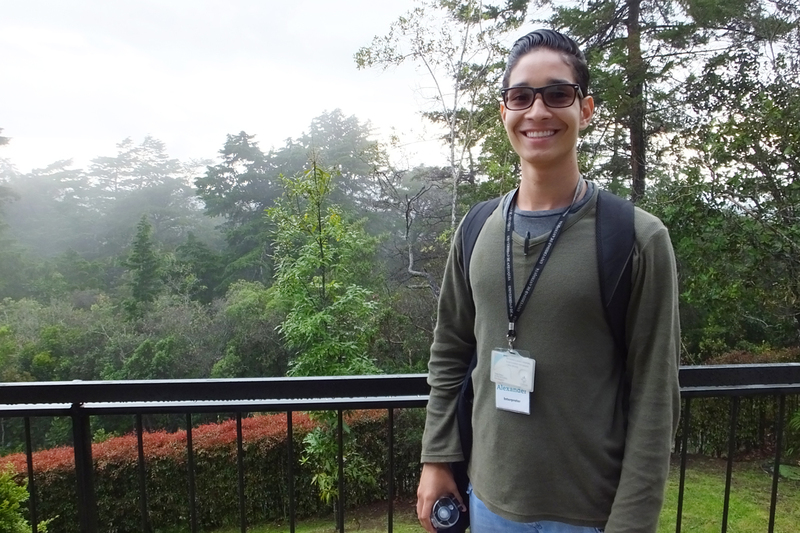 Spending time with him in Colombia, where he lives after recently relocating from El Salvador, was like being immersed in wisdom and experience. My job, and my life, was made richer by being in his presence for several days. 6. Oh, and let’s not forget about the food. 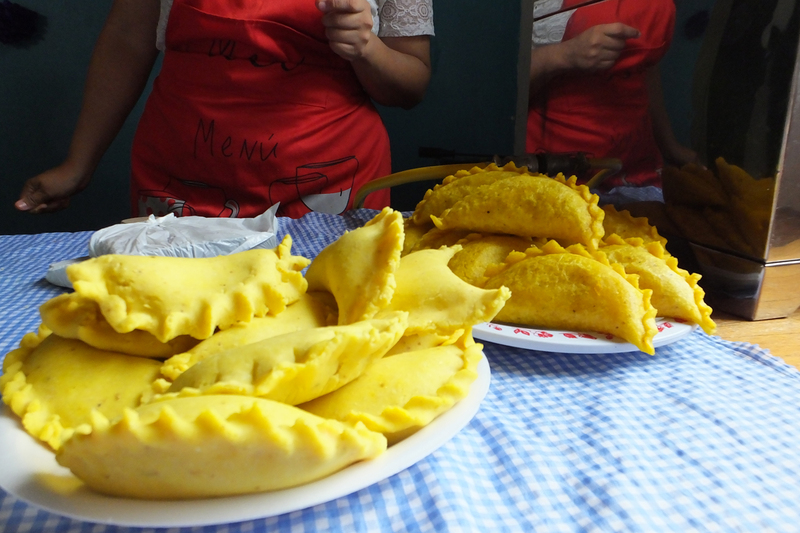 I had a “Medellin hotdog,” barely made it through half of a massive plate of the traditional bandeja paisa and learned how to make empanadas, pictured here, from the mother of a sponsored child! 7. The majority of my time in Colombia was spent on the Unbound Awareness Trip, traveling with a group of staff and sponsors. 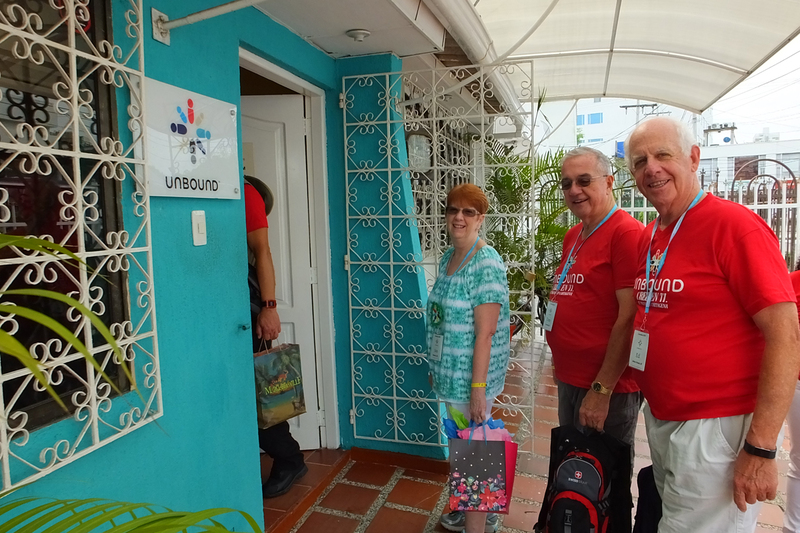 It was a refreshing experience for me to spend several days getting to know many Unbound sponsors, some of whom have been with us for two years and others for 20 (pictured above, Jan and Tom Cosgrove from Arizona, left, center; and Ed Sheehan from South Carolina). They supported me as I helped guide the trip, and I’m glad to call many of them new friends! 8. On the awareness trip, we were showered with little gifts at almost every stop. I came home with bags handmade by mothers, artwork created by fathers, keychains, journals, t-shirts and trinkets selected just for us to show appreciation for our presence in their lives. 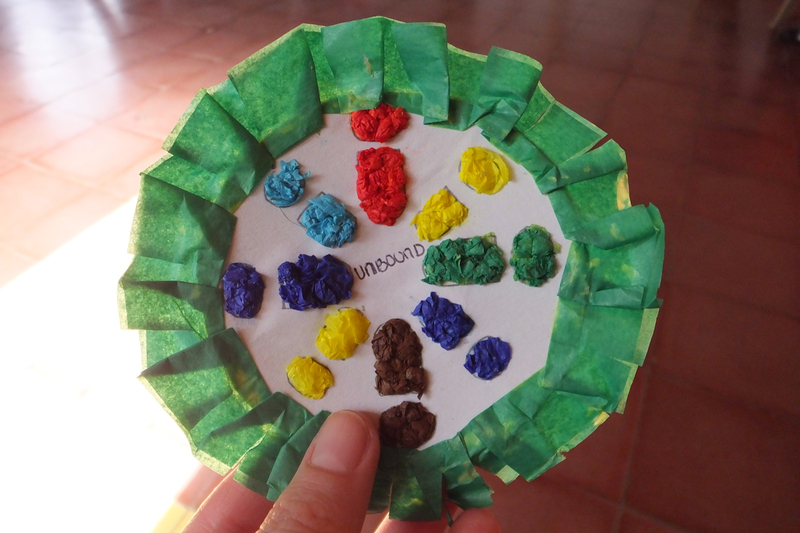 Pictured here is a pin, made in the shape of the Unbound logo, to represent the traditional Antioquian flower festival. I was amazed by the generosity and time commitment of the staff and families to make sure we felt loved and had something to remember the trip by. 9. One of the greatest privileges of a trip like this is meeting sponsored friends. Maty Luz, 15, showed her sponsor, Ed, and me all the improvements that her family has made to their home with the help of sponsorship. Many of the children visited by sponsors on this trip are teenagers, and it was amazing to see how driven they are to pursue their education and future careers. 10. A highlight of my time in Colombia was spending the morning with sponsored elders. Unbound’s support of the aging is one of my favorite things about our work. In fact, my husband and I sponsor an elder in Kenya named Wambui. 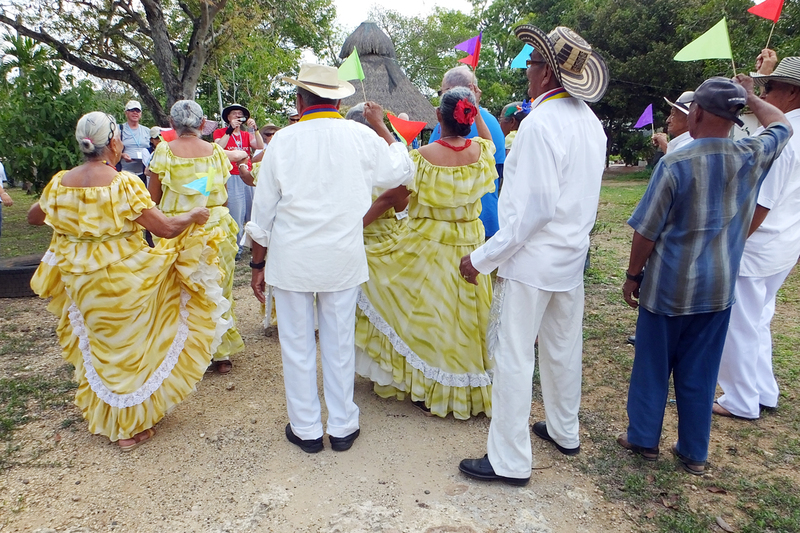 On the day of the elders visit in Cartagena, we arrived at a picturesque gathering place outside the city, welcomed by elders whose deep kindness and gratitude brought me to tears. My time in Colombia was rich beyond my expectations. 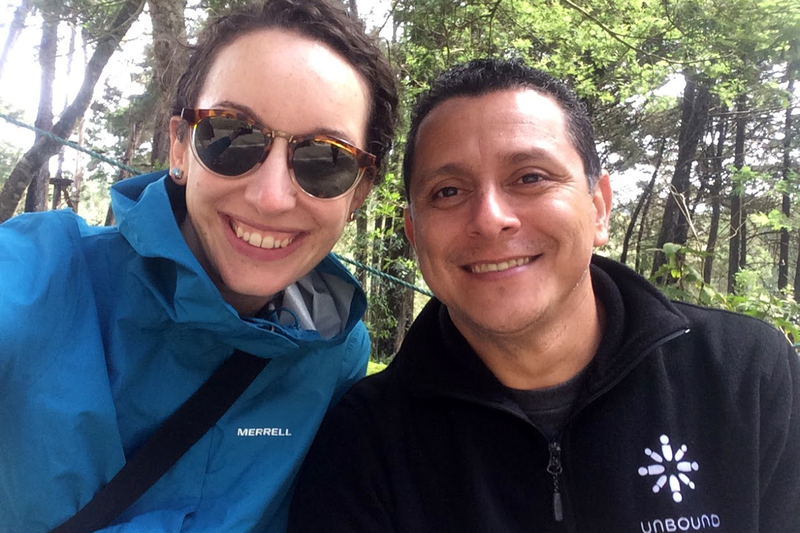 Stay tuned to this blog in the coming months as I share stories of families I met and insights into life in Colombia.